Retaining Wall Installation Services - Retaining Walls Done Right! Green Acres Lawn Care & Landscaping Group offers retaining wall construction services in the Belvidere, Cherry Valley, Dekalb, Genoa, Loves Park, Machesney Park, Marengo, Poplar Grove, Rockford, Rockton, Roscoe, and the Sycamore Illinois area. 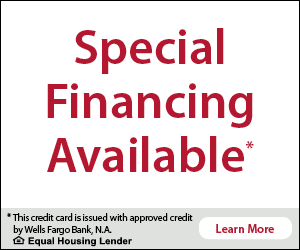 To request a free quote or consultation give us a call at 815-703-0873 today! 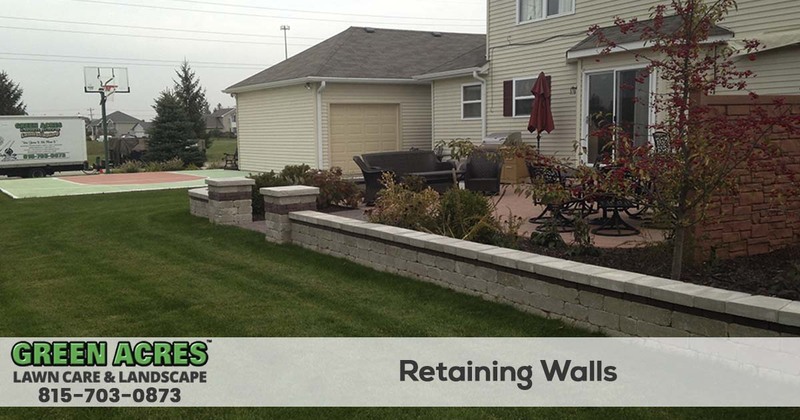 Green Acres Lawn Care & Landscaping Group has been building residential and commercial retaining walls since 2005. 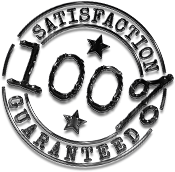 Our experience and commitment to quality makes Green Acres Lawn Care & Landscaping the right choice for your project. Your retaining wall will be completed on time and on budget. Retaining walls are generally built to retain soil and provide drainage control, but they can also be used as part of landscape design and to make your yard more aesthetically pleasing. Retaining walls can add seating areas, define flowerbeds, or just add more usable space in your yard. Whether you need to replace an old deteriorating retaining wall or need a new one installed we have the experience, tools, and staff to get the job done right quickly and affordably. Our retaining wall solutions are made with interlocking stones that are versatile, durable, and beautiful. The stones are available in an endless selection of patterns and colors and can be customized to your style. Below are the steps that Green Acres Lawn Care & Landscaping Group follows to ensure that your retaining wall is installed properly. We build a wide range of retaining walls that blend shapes, texture and colors that will compliment your home or businesses architecture. Our retaining wall construction services are both functional and aesthetically satisfying. Give Green Acres Lawn Care & Landscaping Group a call today at 815-703-0873 and request a free quote or design consultation.